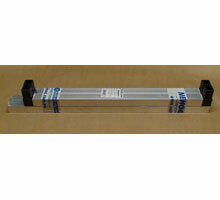 Frame Mounts for NEHOC screen printing - plastic and metal for A5, A4, A3 and A2 sizes. Mount your ScreenMaster design to a frame and begin printing onto your materials instantly. Available in a large range of sizes from A5 through to extra large A2 size, all frames are designed to match a Long Life Squeegee size, enabling multiple sizes from minimum equipment. Plastic frames are cheaper and durable, ideal for short run and school uses, while the metal frames are used for long run, off contact and professional applications with strong build and quality. Clean screenMaster Mesh as per normal clean-up procedure. To clean frame cover tape to prevent loss of adhesion, or re tape once cleaned, wash under cold water to remove excess ink. 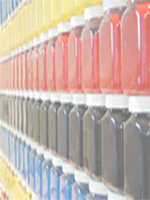 Solvent cleaners may be used, but not recommended. View large image Plastic Frame. .
View large image Metal Frame. .
View large image XL Metal Frame. .
What's the difference between using plastic or metal? Plastic frames are only 1mm thick and flexible, which makes them lightweight, portable, cheap and very durable), however as the frames bend high screen tension is not available sing plastic and the frames will bend if elevated to print off contact. What type do I use for off contact printing? Metal as they are strong and unlike the plastic type will not flex when elevated. 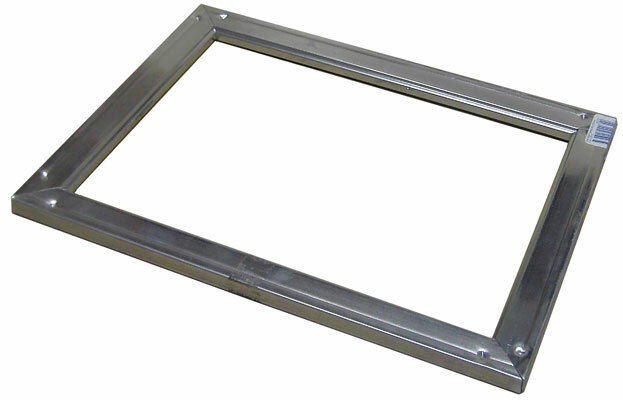 What squeegee fits each frame? 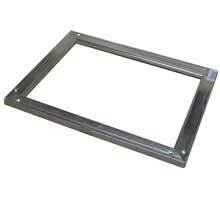 Frames can be printed in two directions with two different width squeegee's i.e. 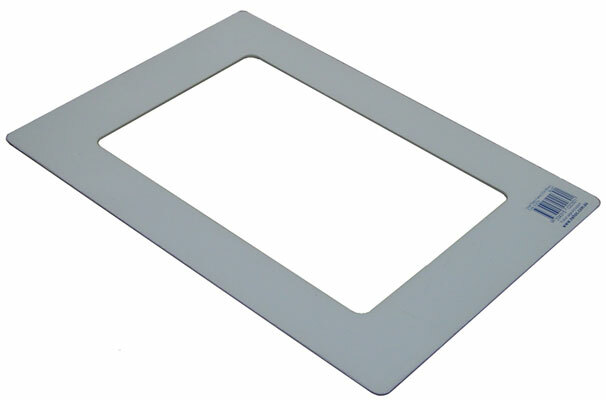 a small plastic frame will print a 110mm squeegee vertically and a 170mm horizontally. 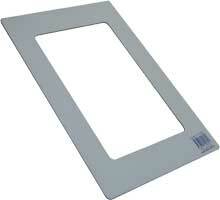 To use the 170mm squeegee simply rotate the screen 90 degrees and pull towards you.